On Tuesday, Japanese researchers said that coral bleaching—the deadly impact of warming ocean temperatures on coral reefs—has reached the world’s northernmost coral reef in Japan. According to the release, about 30 percent of a coral reef off the coast of Tsushima island in Japan, which lies some 620 miles southwest of Tokyo, suffered extensive bleaching last December when observed by Hiroya Yamano, director of the Center for Environmental Biology and Ecosystem Studies at Japan’s National Institute for Environmental Studies, and his research team. The Tsushima island coral reef was only discovered in 2012. While more than 90 percent of the world’s coral reefs are found in tropical waters, the Tsushima corals survive in water that gets as cold as 55 degrees Fahrenheit in the winter months. The Tsushima reef is 43 miles north of the nearest reef, Iki Island reef. Most of the reef is composed of a genus of corals called Favia, a massive brown coral, and the water is cloudy with suspended particles. 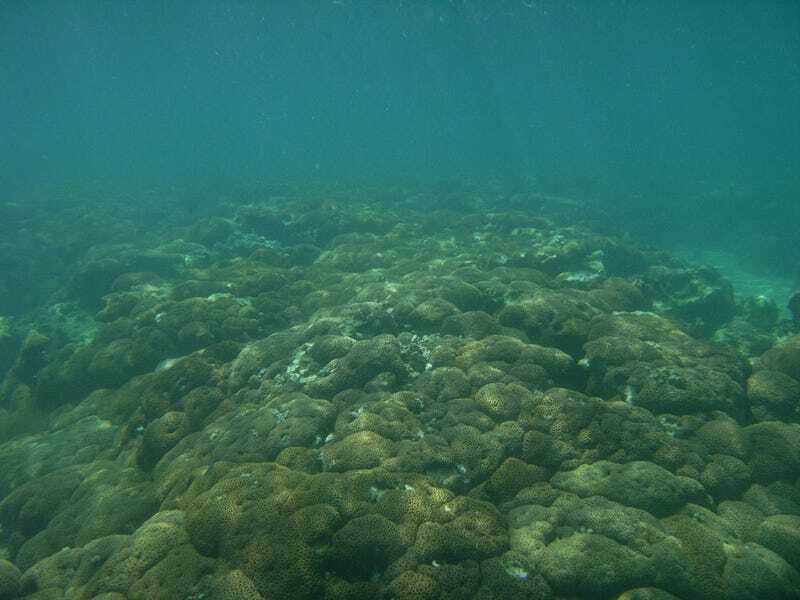 A far cry from the colorful assortment of corals in azure island waters that most picture when imagining coral reefs. The last few years have been extremely detrimental to the planet’s coral reefs as ocean temperatures have risen along with all the atmospheric record highs. Corals are extremely sensitive to these changes, and even an increase of a degree or two can send them into a death spiral. In 2015, NOAA declared the third-ever global coral bleaching event was ongoing as record ocean temperatures, attributed to climate change and a strong El Niño, caused debilitating effects to corals. NOAA’s forecast shows that widespread bleaching is no longer underway in the Atlantic, Pacific or Indian oceans. However, scientists will still monitor sea surface temperatures over the next six months to confirm the bleaching event has concluded. I guess we now know not even the world’s northernmost coral reef wasn’t spared spared. The previous two global coral bleaching events occurred in 1998, during a previous strong El Niño, and 2010. As the outlook for the world’s corals grows ever more grim, concerned citizens and activists are looking for new ways to bring the crisis to the public’s attention and to catalyze action. Just last Friday, Netflix released a heartrending account of the recent global bleaching event, Chasing Coral.